!http://i.zemanta.com/314530758_80_80.jpg|src=http://i.zemanta.com/314530758_80_80.jpg|alt=|style=padding: 0; margin: 0; border: 0; display: block; width: 80px; max-width: 100%;!How far has the fire service come in embracing life safety initiative dedicated to home fire sprinklers? The gifts have been opened, the ornaments are starting to sag, and the fallen pine needles are multiplying daily – these are clear signs that it’s time to remove the Christmas tree and other holiday decorations from your home. Christmas trees are flammable objects. The longer they’re in your home, the more they dry out, making them a significant fire hazard. Nearly 40 percent of home fires that begin with Christmas trees occur in January. Although these fires aren’t common, when they do occur, they’re more likely to be serious. On average, one of every 40 reported home structure Christmas tree fires resulted in a death, as compared to an average of one death per 142 total reported home structure fires. While many people choose to keep their Christmas trees and holiday decorations up for a few weeks after the holidays, the continued use of seasonal lighting and dried-out trees presents increased fire risks. For recommendations on safely disposing of your Christmas tree, along with tips for safely putting away holiday decorations, visit “Put a Freeze on Winter Fires”, NFPA’s campaign with the United States Fire Administration (USFA). !http://nfpa.typepad.com/.a/6a00d8351b9f3453ef01bb07ce1276970d-800wi|border=0|src=http://nfpa.typepad.com/.a/6a00d8351b9f3453ef01bb07ce1276970d-800wi|alt=House fires|title=House fires|class=asset asset-image at-xid-6a00d8351b9f3453ef01bb07ce1276970d image-full img-responsive! The number of fire fatalities in Alabama this year has exceeded 2013 totals, and the state&#39;s fire officials aren&#39;t taking the news lightly. Joining others in vocalizing their frustration with these deaths is Chief Alan Martin with the Tuscaloosa Fire and Rescue Service. In a recent op-ed published in +The Anniston Star,+ he counters comments made by a staffer from the Home Builders Association of Alabama, who labeled home fire sprinklers as &quot;property protectors&quot; with minimal life-saving advantages. Christmas trees are flammable objects. The longer they’re in your home, the more they dry out, making them a significant fire hazard. NFPA statistics show that nearly 40 percent of home fires that begin with Christmas trees occur in January. Although these fires aren’t common, when they do occur, they’re more likely to be serious. On average, one of every 40 reported home structure Christmas tree fires resulted in a death, as compared to an average of one death per 142 total reported home structure fires. While many people choose to keep their Christmas trees and holiday decorations up for a few weeks after the holidays, the continued use of seasonal lighting and dried-out trees after the holidays presents increased fire risks. When people do dispose of their trees, NFPA recommends using the local community’s recycling program, if available. They should not be put in the garage or left outside. As you put away electrical light strings, take time to inspect each for damage. Throw out light sets if they have loose connections, broken sockets, or cracked or bare wires. Wrap each set of lights and put them in individual plastic bags, or wrap the lights around a piece of cardboard. Store electrical decorations away from children and pets, and put them in a dry place where they won’t be damaged by water or dampness. For additional resources and information for a fire-safe winter season, visit “Put a Freeze on Winter Fires” , NFPA’s campaign with theUnited States Fire Administration (USFA). Many NFPA codes and standards, in particular NFPA 400, Hazardous Materials Code, specify separation/clearance distances for hazardous chemical storage and processes from other equipment and occupied buildings. Many of these requirements have historical undocumented origins. Guidance, which may inform a sound technical basis for adjusting these distances, has been requested by NFPA Technical Committees. There are a number of methodologies in the literature, both risk and hazard based, which are used in the chemical safety process safety field that may be relevant to the calculation of these distances. The purpose of this project is to provide guidance to NFPA technical committees on methodologies to develop technically based separation/clearance distances for hazardous chemical storage/processes and their application to the chemical storage and processes. The specific focus of the project is those hazards within the scope of NFPA 400. The literature review of separation distances is included in the report along with a verification case study using Ammonium Nitrate solids. Download and read the full report, free of charge, from the Fire Protection Research Foundation website. The number of fire fatalities in Alabama this year has exceeded 2013 totals, and the state's fire officials aren't taking the news lightly. Joining others in vocalizing their frustration with these deaths is Chief Alan Martin with the Tuscaloosa Fire and Rescue Service. In a recent op-ed published in +The Anniston Star,+ he counters comments made by a staffer from the Home Builders Association of Alabama, who labeled home fire sprinklers as "property protectors" with minimal life-saving advantages. In this month’s NFPA News: helping to protect first responders from Ebola, public input and comment process goes digital, and more. The December special edition of NFPA News, our codes and standards newsletter, is now available. The Fire Protection Research Foundation recently published the report “Disaster Resiliency and NFPA Codes and Standards” authored by Kenneth W. Duncan, P.E., Performance Design Technologies. The purpose of this project is to identify those provisions in NFPA codes and standards that embody the concepts of resiliency and compile available information to serve as a technical reference for those documents, identifying key gaps in knowledge. The report includes a literature review, codes and standards mapping and gap assessment. The literature review provides relevant extracts from a variety of sources and is intended to include a pathway for understanding how the concepts of resilience could apply to the wide range of NFPA codes and standards. The mapping is intended to be both a benchmarking of the current codes and standards and an identification of a path forward for incorporating resilience concepts. The gap assessment is intended to identify knowledge gaps or other barriers to implementation. 1) Resilience includes technical, organizational, social and economic dimensions. 2) Resilience requires actions described as planning, preparing, preventing, protecting, mitigating and responding. 3) Resilience requires preparation and response to be adaptive. 4) Resilience should focus on minimizing damage and disruption to public health and safety, the economy, environment, and national security. 5) Resilience includes the ability of structures and systems to withstand these external events, whether natural or human-created. The Fire Protection Research Foundation will be conducting additional work including the development of a Guidance document on incorporating resiliency into NFPA Codes and Standards. Be prepared. Be proactive. Plan your training for the upcoming year with NFPA's 2015 Winter Training Catalog. See details online or download a PDF of NFPA's 2015 Winter Training Catalog for quick reference to all of the courses scheduled for 2015. Plus preview Self-Guided courses based on the 2015 Editions of NFPA 70E®, NFPA 101®, and NFPA 99! Earn CEUs and train with the code experts from NFPA. The Fire Protection Research Foundation recently published the report “Disaster Resiliency and NFPA Codes and Stardards” authored by Kenneth W. Duncan, P.E., Performance Design Technologies. The purpose of this project is to identify those provisions in NFPA codes and standards that embody the concepts of resiliency and compile available information to serve as a technical reference for those documents, identifying key gaps in knowledge. The report includes a literature review, codes and standards mapping and gap assessment. The 2014 Motorsports Engineering Conference was held this past December 9 and 10 in Indianapolis, Indiana, and was sponsored by the University of Indiana Purdue and the Center for Advanced Product Evaluation (CAPE). This conference was held in conjunction with the Performance Racing Industry Trade Show, one of the largest racing industry trade shows in the country. These two events bring together racing industry personnel from around the world to see the latest innovations, network, and discuss the most recent challenges faced by the Motorsports community and has a correlation to the NFPA 610 document, Guide for Emergency and Safety Operations at Motorsports Venues. At the engineering conference several topics where presented such as; driver safety review, manufacture and performance of the FIA8860 Super Helmet, helmet performance comparisons, cockpit Surround Foam evaluation testing, and evaluation of enhanced roll over protection. The roll over protection evaluation included an actual "live" test held at the CAPE facility. This test was designed to replicate the race car having rolled onto its side from a primary crash then striking the track wall at the top of the roll cage in a resultant secondary crash. This was to determine if the design of the race car roll cage prevented a head strike of the driver. The impact of the crash was measured at 40,000 lbf. and was determined by high speed video that the driver's head did strike the pad with lethal force. NFPA 610 Guide for Emergency and Safety Operations at Motorsports Venues 2009 edition covers planning, training, personnel, equipment, and facilities as they relate to emergency and safety operations at motorsports venues. To view NFPA 610 go to http://www.nfpa.org/610. To help protect emergency first responders from exposure to the Ebola virus, NFPA is seeking comments to a Tentative Interim Amendment (TIA) to NFPA 1999: Standard on Protective Clothing for Emergency Medical Operations. The TIA proposes a revision to the design and performance criteria of Personal Protective Equipment (PPE) to address the risk of exposure to the Ebola virus threat. NFPA has posted the TIA on NFPA 1999 for public review and comment. To submit a comment, please e-mail the Secretary, Standards Council, by January 15, 2015 at TIAs_Errata_FIs@nfpa.org. The TIA follows work conducted by several organizations and federal agencies that recognized the need for a national PPE standard to protect emergency first responders against the Ebola Virus and other liquid-borne pathogens. The organizations include the Centers for Disease Control and Prevention (CDC), World Health Organization, the Human and Health Services Office of the Assistant Secretary for Preparedness and Response, and Interagency Board for Equipment Standardization and Interoperability. Thank you for your time, consideration and input! At its August 2014 meeting, the NFPA Standards Council reviewed the scope and title for a new committee on Facilities for Fire Training and Associated Props. After review of all the material before it, the Council voted to publish a notice to solicit public comments for the need of the project, information on subject matter resources, those interested in participating, if established, and other organizations actively involved with the subject. The deadline for comments is February 15, 2015. See the full post written by NFPA's Steven Sawyer. !http://a0.typepad.com/6a017c358287a7970b01b8d0aa9ea0970c-800wi|border=0|src=http://a0.typepad.com/6a017c358287a7970b01b8d0aa9ea0970c-800wi|alt=Victim characteristics blog|title=Victim characteristics blog|class=asset asset-image at-xid-6a017c358287a7970b01b8d0aa9ea0970c img-responsive! The percentage of fatal fire victims 65 and older has been increasing while the percentage of victims under 5 has fallen. While the majority of home fire victims were white, African Americans, relative to their share of the population, were roughly twice as likely to be fatally injured in a home fire in 2007-2011 as the overall population. The Hispanic home fire death rate was half that of the overall population. The difference was even greater for children and older adults. African-American children under five had a home fire death rate of 23.0 deaths per million population, four times the 5.5 rate seen for white children and three times the 7.4 rate for Hispanic children and more than the same age. For African-American 65 and over, the rate was 56.3 deaths per million population, three times the 17.7 rate for white older adults and almost five times the 12.3 death rate experienced by older Hispanics. While great progress has been made, these statistics show that there is still a lot of work to be done to improve fire safety for ALL of our people. Read the full report to learn more. The main function of a chimney structure is “draft” through which, flue gases and smoke are removed from the building. Several parameters influence draft including the chimney height and the temperature differences between the outside air and combusted gases inside the flue. Flow resistance decreases the induced draft. Moreover, additional turns and sharper parts in a chimney also influence the process and often maximize the flow resistance and minimize the draft in the system. Furthermore, rain caps and other terminals increase flow resistance depending on the terminals’ materials, geometries, and size. Proper design of a venting system requires information and specific data that address flue gas flow through the venting system, especially in solid fuel appliances. Such information and pertinent data can be obtained from published materials describing modeling and reported testing of the entire venting system (including test results published by manufacturers on their products). "Impact of Chimney-top Appurtenances on Flue Gas Flow" was authored by Pegah Farshadmanesh, Mehdi Modares and Jamshid Mohammadi with the Department of Civil, Architectural and Environmental Engineering at Illinois Institute of Technology. This report summarizes findings of a comprehensive search of available published papers on chimney-top device flow resistance including reported testing and modeling, fire accident investigations, and other related studies. The gap in the needed knowledge is determined in an effort to provide insight into what is needed for development of guidance for installing rain caps and other chimney-top devices with technical substantiation. Download the complete report, free of charge, from the Foundation website. NFPA is seeking public review and comment on a proposed Tentative Interim Amendment (TIA) on NFPA 1999, Standard on Protective Clothing for Emergency Medical Operations, 2013 edition. This TIA proposes to revise design and performance criteria of Personal Protective Equipment (PPE) and address the risk of exposure to the Ebola virus threat. This TIA can be reviewed on the Current & Prior Editions tab of the NFPA 1999 Document Information Page. Anyone may submit a comment on this proposed TIA by the January 15, 2015 closing date. Along with your comment, please identify the number of the TIA and forward to the Secretary, Standards Council by the closing date. The Village of Riverdale, Illinois, recently became one of nearly 100 fire-safe communities in Illinois where fire sprinklers are required in new, single-family homes. Along with Blue Island, which passed a home fire sprinkler requirement in 2012, Riverdale is among the first communities in Chicago’s inner ring of southern suburbs to recognize the importance of protecting residents in their homes. Upon Jackson taking office in 2013, he was approached by Fire Chief Robert Scharnhorst about adopting a home fire sprinkler requirement. Although he was not familiar with home fire sprinklers at the time, Jackson got educated on the subject by Scharnhorst during the village board’s building code renewal process. Learn what happened next by visiting NFPA's Fire Sprinkler Initiative blog. We want to welcome two new members of our senior leadership team here at NFPA! Charles (Chuck) Stravin is now our vice president of business operations, with overall responsibility for developing the strategic vision and operations to serve customers. Julie Lynch is our new vice president of human resources (HR) and will develop and align HR strategy, programs and policies to support NFPA’s overall strategy and evolving culture and goals. Chuck will oversee a product and service strategy that delivers solutions to NFPA’s diverse customers in fire, electrical and building safety. His leadership responsibilities include product development, marketing and advertising, training and certification, sales and order fulfillment. Chuck joins us from Mesa Home Products where he served as president and CEO. In her role, Julie is responsible for HR strategy development and implementation, talent management, employee engagement and organizational development. She joins us from International Data Group (IDG) and IDG Research Workforce Efficacy Solutions where she held numerous HR leadership positions. Welcome to both new members of our team, we are happy to have you on board! Behavioral health is a subject not often talked about in the fire service, but it affects every department and emergency responder in some way or other. The NVFC, through its Share the Load™ Support Program, has developed a series of resources to help educate and train first responders about the importance of behavioral health and provide resources, tips, and tools to help departments, first responders, and families address these issues. You might remember, not too long ago when carbon monoxide devices first came into existence, that they would activate on high concentration of CO. They would also activate once a series of low concentrations over a long period of time had finally reached a threshold for activation. In either event we would respond, determine which appliance caused the CO alarm to activate, and then have the home owner take the CO device outside to fresh air clear the unit and bring it back inside. This may be one analogy and perhaps a poor one at best, but if you look at the effect of stressful or traumatic events on a fire fighter the cumulative effects will cause the fire fighter to signal a response, similar to that of a CO alarm activation. It may be that all that is needed is to reset--seek a cleaner environment much the same way we reset a CO device and put it back in service. There will be times when a fire fighter will come to the end and it will be too late. It may be only one incident or a series of events. Indicators may be related to physical and mental reactions that are not typical to that individual. Some indicators will be short term and others will be long in duration. For any of us it could be detrimental causing health issues and/or suicide. The National Volunteers Firefighters Council has established links to their behavioral health resources, including a link for the Share the Load initiative. Please take the opportunity to review the website and become aware of the factors and how you might save a fire fighter’s life. According to NFPA’s new report, +Characteristics of Home Fire Victims+, older adults had the highest risk of fire death in the US compared to other age groups. In 2007-2011, people 65 and over were 2.4 times as likely to be killed in a home fire as the overall population. While children under five have historically also been a high risk group, their risk has dropped to 1.1 times that of the general population. The percentage of fatal home fire victims under five years of age fell from 18% in 1980 to 6% in 2011, while the percentage of victims 65 or older increased from 19% to 31% over the same period*. *The risk of home fire injury varies less with age than the risk of fire death. Standard on Fire Training Structures, Props, and Equipment. The Fire Service Training TC currently is assigned responsibility for NFPA 1402, Guide to Building Fire Service Training Centers, which is a document that provides general information to architects, engineers, and fire service entities on possible components of fire training centers. The scope of the document is "food for thought" and ideas to consider when planning or designing a training center. The committee is aware that there is an increasing need to have a prescriptive standard available to provide minimum mandatory requirements for the manufacturing, installation, and maintenance of gas-fired props, and for the design and construction of live fire training structures (burn buildings) and other training props. This need has surfaced because of a growing awareness of fire fighter injuries that have occurred with gas-fired training props that have not been designed and constructed in a manner that provides a minimum required level of safety to all participants. The Fire Service Training TC has a growing concern that if a nationally recognized standard is not developed for gas-fire live fire training props we will see additional injuries and potentially fire fighter fatalities in the future. (1.) The Training Committee has expanded the scope of the new, proposed standard from just live fire training structures, props, and equipment to also include non-live fire training structures, props, and equipment. This would move more of the exiting 1402 content into the new standard. Given this increased scope, the Training Committee believes it is important to separate these items into a new standard. a. Readers might not know it is there. b. Most of it would not relate directly to any content in the body of the standard. c. By being in the annex of a standard instead of in a guide, the content might be interpreted as standard requirements, too. Legal entities already try to interpret the current 1402 guide as if it is a standard. Moving that content into the annex of a standard would strengthen the position of those legal entities. (1.) Manufacturers of gas-fired and other live fire training props used to train fire fighters. (2.) Architects and engineers that design fire training structures and props and specify fire training equipment. (3.) Fire agencies that purchase gas-fired props and other fire training structures and props to train fire fighters. (4.) Fire fighters that are potentially exposed to unacceptable risk from gas-fired and other fire training props and structures that have not been manufactured, designed, and constructed to a nationally accepted standard. (5.) Operators of fire fighter training centers. ISFSI; IFSTA; IAFC; NVFC; IAFF; NAFTD; Manufacturers; Technical Committee on Fire Service Training, Technical Committee on Special Effects. NFPA 1402 is a related document but is an advisory document that cannot mandate minimum requirements. NFPA 1403 is related in that it mandates minimum requirements and procedures for live fire training exercises. DIN standard (Germany or whole EU?) addresses the subject in a limited capacity. See C above. In addition, the Fire Service Training TC currently has the necessary expertise, including two manufacturers of gas-fired training props, a special expert also in the gas-fired training prop manufacturing industry, engineers that specify gas-fired training props for fire fighter training centers and design fire training structures, builders of fire training structures, owners of fire training centers that use fire training structures and props, users of fire training structures and props, manufacturers of fire fighter training materials related to fire training structures and props, and representation from national research/testing laboratories. In addition, the Fire Service Training TC has organized a task group of outside experts, especially from the 160 Committee, to assist with the standard for gas-fired props. The proposed document could be developed in approximately three years. The Fire Service Training TC believes that there is adequate availability of data and information on the "best practices" design and construction of gas-fired fire fighter training props and fire training structures and props that are required to substantiate the technical requirements and other provisions of the proposed new project. Elliott joins an army of other burn survivors that are promoting devices that could have prevented their tragedies had they been installed in their homes. Learn how and why these advocates are championing for home fire sprinklers by visiting the Fire Sprinkler Initiative blog. Do you want to make a difference? NFPA's public education division is hiring for three new positions! The Public Education Regional Specialists will work remotely and be responsible for promoting the use of NFPA fire-safety education materials at the state and local level. They will serve in an ambassadorial role for the Association on a regional level by being an effective spokesperson for all NFPA public education and advocacy initiatives on behalf of NFPA, and providing an NFPA presence for fire departments in the region while coordinating field activities with Association staff. Job requirements include a minimum of 7 years experience in the design, implementation and evaluation of fire-safety education materials, proven public speaking experience, the ability to communicate effectively with fire safety educators and fire marshals to have a positive influence among these constituents. Travel will also be required up to 30% of the time. For more job requirements, a list of principle responsibilities and to apply online, please visit our careers web page. Christmas trees are a festive emblem of the holiday season, but they also present a potential fire risk in the home. Although Christmas tree fires aren’t particularly common, when they do occur, they are likely to be serious. On average, one of every 40 reported home structure Christmas tree fires resulted in a death, compared to an average of one death per 142 total reported home structure fires. One of every three home Christmas tree fires is caused by electrical problems. In addition, Christmas trees are flammable objects. The longer they remain in the home, the more dried out they become, making them increasingly hazardous. Fortunately, the vast majority of Christmas tree fires are preventable with some simple safety precautions. The video above demonstrates easy ways to safely enjoy a Christmas tree in your home this holiday season. You can also visit our "Put a Freeze on Winter Fires" section, which offers a wealth of tips and recommendatinos for keeping fire-safe during this holiday season and all winter long. “Put a Freeze on Winter Fires” and “Project Holiday”: What’s the difference between the two campaigns? “What’s the difference between ‘Put a Freeze on Winter Fires’ and ‘Project Holiday’?” That’s the question a few people have recently asked, and it’s one that’s worth clarifying, since there are some key differences between the two programs (as well as some crossover). Our “Put a Freeze on Winter Fires” campaign with USFA promotes winter fire safety directly to the public, addressing the leading causes of fires and other hazards during the colder months and holiday season. This includes home heating, cooking, holiday decorating and carbon monoxide poisoning. The campaign runs from November through March, and features regular updates on both organizations’ websites. “Project Holiday” - a program that’s hosted each year by our Public Education division - works to communicate holiday fire safety messaging through local fire departments. It provides a wide range of resources and information for fire departments to promote holiday-related fire safety in their communities. Materials include sample news releases, media advisories, and letters to the editor. “Project Holiday” also features a parent page with suggested family activities, along with age-appropriate games and activities for kids. What “Put a Freeze on Winter Fires” and “Project Holiday” have in common is a commitment to educating the public about simple ways to stay safe from fire this holiday season. Check out both programs to find a wealth of related tips, information and resources. Usually when I write blog posts I like to include a quote from a philosopher, a head of state or a historical figure. Is it odd that the person I want to quote for this piece is a musician? David Bowie in his song "Changes" has a refrain that is "Ch-ch-ch-ch-Changes." If you are a Facility Manager at a health care facility we know that you face the challenge of splitting your time among many tasks including compliance with NFPA codes and standards. With the BIG changes that have happened between 1999 and now to NFPA 101 and NFPA 99, the challenge only becomes more evident. NFPA is here to help with that challenge. We've chosen Jim Lathrop an industry expert as well as a senior instructor with NFPA to help guide you through the major changes to NFPA 101 and NFPA 99. Knowing that it's tough for Facility Managers to step off their property to train, we've set up a 3-hour interactive training session on January 20, 2015 delivered through a live broadcast over the Web. Explain the concept of risk assessment as used in the 2012 Edition of NFPA 99. Understand how the provisions for Medical Gas and Vacuum systems have changed between 2000 and 2012. Describe what is meant by wet procedure locations. Describe the advantages of the 2012 edition of NFPA 99 over the 1999 Edition. Describe some of the major changes in the core chapters of NFPA 101 that will benefit health care facilities upon the adoption of the 2012 edition of NFPA 101. Describe some of the major changes in the health care chapters of NFPA 101 between the 2000 and 2012 editions. Explain suites, what they are, what are their benefits, and what are some of the major changes in suites between the 2000 and 2012 editions of NFPA 101. Click here if you'd like to find out more about this event. January 5th, 2015 marks a major milestone in the enhancement of NFPA’s online platform: the first Public Input closing date for which all materials will be submitted online. Beginning with the 44 Fall 2016 NFPA Standards, paper submissions will no longer be accepted. By utilizing a completely online platform, NFPA will facilitate wider and easier participation in the development of its Standards. As an organization, this transition is yet another step forward as NFPA continues to promote a digital first approach focused on solution-based products and services. Thank you to all NFPA participants for embracing the enhancements and NFPA’s online platform. If you have not yet submitted your Public Input, and there exists a particular standard that interests you, please go online to submit prior to the January 5, 2015 deadline. Simply, go to the next edition tab on the relevant document information page and click “The next edition of this standard is now open for Public Input" or the "Submit Public Input online” link to get started. If you have any questions or need assistance with the online submission system for public input or public comment, please feel free to contact us at 617-984-7242, or via email at standardsdev_support@nfpa.org. Yesterday, I blogged about a TV program in Germany that contacted us to find out why NFPA’s mascot is a dalmation. Our team videotaped the above answer from Ken Willette, NFPA’s division manager of public fire protection. I also asked if anyone else knew why a Dalmatian is our mascot. Kudos to Michele Steinberg, our division manager of wildland fires – she got it right! Such sad news from earlier this week; a Philadelphia firefighter died battling a blaze in the West Oak Lane neighborhood and became the city's first female firefighter to die in the line of duty. Joyce Craig-Lewis was one of 150 women on the department and an 11-year veteran. She is survived by two children, a 16-year-old-son and 16-month-old daughter, as well as her parents, two sisters, and a brother. Philadelphia Fire Commissioner said Craig-Lewis was helping fight a fire in the basement of the residence. Our thoughts are with her family, fire department and the people of Philadelphia during this time. Ken Willette and Sparky the Fire Dog tell German TV program why NFPA’s mascot is a dalmatian. Do you know? A TV program in Germany recently contacted us with the following question: Why is a dalmatian the mascot of NFPA? We videotaped the answer today, thanks to the help of Ken Willette, our division manager for public fire protection, and Sparky the Fire Dog®. Anyone out there know the answer to that question? Tell us what you think – we’ll share Ken’s official answer tomorrow and see who knows their fire history. Learn about Coan's push for home fire sprinklers by visiting the Fire Sprinkler Initiative blog. We are delighted to welcome two new staff to our Denver and Quincy offices. Tom Welle joins the Denver office as a senior project manager and supervisor. Faith Berry joins the Quincy office as an associate project manager. Both Tom and Faith will contribute to the Division's mission of reducing risks to life and property from wildfire through advocacy, outreach, education, research and codes and standards. F aith is familiar to readers of Fire Break as one of NFPA's six Firewise Regional Advisors, contracted with NFPA from 2011 to 2013. Faith has extensive experience in working with communities on fire and land management issues, including work as a firefighter, park ranger, and Fire Safe Council coordinator. Everyone here at NFPA looks forward to working with the expanded team on all of NFPA's wildland fire safety projects and programs. Help us welcome Tom and Faith by leaving thoughts and comments below! Deadline approaches for two Research Foundation "Requests for Proposals"
There are two open Requests for Proposals for Foundation projects. The projects are "Protection of Storage Under Sloped Ceilings - Phase 1" and "Use of Gaseous Suppression Systems in High-Airflow Spaces: Capabilities and Knowledge Gaps". Both RFPs are accessible from the Foundation website. Proposals for the protection of storage under sloped ceilings project are due December 18. Proposals for the use of gaseous suppression systems in high-airflow spaces are due January 9. Please contact Amanda Kimball at the Foundation with any questions. There's an old saying that "Rome wasn't built in a day" but I can't picture the empire of Rome applying it's renowned efficiency of the road builders to constyruct an e-commerce site. What's the shipping cost on an XL purple tunic run these days? Is there a tax in Germania on battle axes? Can a chariot deliver a catapult to Brittania by RPS (Roman Parcel Service) in 3 days? Imagine a Roman Emperor issuing an official decree to form a legion to build an efficient e-commerce site so that the empire would run smoothly. The people demand it!!!! Here at NFPA, we aren't building stone roads or beautiful archways but we have been building a new e-commerce site. And, in our case, when the people took to the cyber roadways to let us know what changes we need to make, we listened. Most of us don't think of how an e-commerce site works other than entering our credit card, printing out our confirmation of goods purchased and waiting for some man with a hat driving a boxy looking truck to deliver our package. Based on watching the hard-working crew here at NFPA that have been building our new e-commerce site over the last 12 months I now know two things; 1. Coffee has been given intravenously for the last few weeks around launch 2. There's a ton of work that goes on behind the scenes to make this engine run. So check out the new e-commerce engine at nfpa.org/catalog and let us know what you think. E-mail Liz Hyde, Centurion of our legion lhyde@nfpa.org or stop by Legion headquarters at NFPA. We are on the 2nd floor next to the lion's den and across from codes and standards. The head of NFPA's field operations division says tremendous progress has been made to improve workplace safety in Bangladesh. NFPA Vice President Don Bliss, speaking at the “2nd International Trade Expo for Building and Fire Safety,” said that in the 18 months since a building collapse killed 1,100 garment workers and injured 2,500 others at Rana Plaza outside Dhaka, a strong commitment to safety by apparel owners, government, global buyers and other stakeholders is making the industry safer for workers. According to an article in theindependent, the three-day conference in Bangladesh was organized by the Alliance for Bangladesh Workers Safety, a coalition of 28 North American retailers to help ensure workers safety with globally certified safety equipment. "In the developed world, we take for granted basic things like regular building inspections and paved roads for emergency vehicles to reach us in case of an accident," wrote Randolph Tucker, NFPA's First Vice Chair, in the May/June 2014 issue of NFPA Journal®. "As a developing country, though, Bangladesh’s physical infrastructure—which must accommodate nearly 155 million people in an area roughly the size of Iowa—is still modernizing. Its garment industry, which accounts for more than 80 percent of the country’s exports, is no different, and a series of high-profile factory fires in recent years has brought attention to the industry and its ties to brands and retailers around the world." The NFPA Technical Committee on Emergency Medical Services (EMS-AAA) convened a national emergency medical services (EMS) stakeholders meeting in April 2014 to discuss the subject of Mobile Integrated Healthcare/Community Paramedicine (MIH/CP). Over the past few years, there have been many changes to the delivery of healthcare, including the delivery of EMS, which has led to the need for this collaborative meeting. The reforms compelled the EMS Technical Committee to organize a meeting for stakeholders to garner input from a broad group of healthcare professionals and to discuss the possibility for a new standard request on MIH/CP. The meeting afforded the opportunity to not only learn the opinions of prominent national EMS and healthcare professionals, but also to discuss how the NFPA could assist the community of actors involved in MIH/CP. For an overview of the history of this process as well as what future plans look like, check out the video above or the infographic below. You can also download the full report from the national stakeholder meeting on mobile integrated healthcare and community paramedicine. !http://nfpa.typepad.com/.a/6a00d8351b9f3453ef01b7c71a4cbf970b-550wi|src=http://nfpa.typepad.com/.a/6a00d8351b9f3453ef01b7c71a4cbf970b-550wi|alt=Winter Fires graphic 2014_15|style=width: 550px;|title=Winter Fires graphic 2014_15|class=asset asset-image at-xid-6a00d8351b9f3453ef01b7c71a4cbf970b img-responsive! Each year, NFPA and USFA team up to remind you that the winter months are the leading time of year for home fires in our Put a Freeze on Winter Fires campaign . To help you stay safe, we provide a wealth of safety tips and information on cooking, heating, candles and holiday decorating – factors that contribute to the increased risk of home fires in the months ahead. !http://lbackstrom.typepad.com/.a/6a014e86dfab17970d01bb07bf401b970d-200wi|src=http://lbackstrom.typepad.com/.a/6a014e86dfab17970d01bb07bf401b970d-200wi|alt=Twittericon.large|style=width: 200px; margin: 0px 0px 5px 5px;|title=Twittericon.large|class=asset asset-image at-xid-6a014e86dfab17970d01bb07bf401b970d img-responsive!This Wednesday, at 2:00pm ET, NFPA and USFA will join forces with ESFI to host a Twitter chat all about winter safety. We will discuss many important winter home fire topics and the ways to stay safe, and encourage all to follow along, and even submit questions of your own! Holiday decorations are a hallmark of the season, but many of them carry potential fire hazards that can quickly turn a festive time of year into a tragic one. As you deck your halls this holiday season, make sure to keep fire safety in mind. Home candle and decoration fires peak in December, with nearly half of all holiday decoration fires occurring because the decorations are placed too close to a heat source. Two out of every five home decoration fires are started by candles. Christmas Eve, Christmas Day and New Year’s Day are the top three days of the year for candle fires. Although Christmas tree fires aren’t particularly common, when they do occur, they are likely to be serious. Between 2007 and 2011, one of every 40 reported home structure Christmas tree fires resulted in a death, compared to an average of one death per 142 total reported home structure fires in that time. Our “Put a Freeze on Winter Fires” campaign with USFA offers a host of tips and recommendations on holiday decorating, and for keeping fire-safe throughout the winter season. Make sure to check them out! Please see this link for some important interim guidance that has been updated by the CDC relating to the use of PPE and Ebola. This interim guidance is intended for those who are engaged in EMS, fire, law emforcement, and public safety answering point (PSAP) personnel and goes into great detail on providing the highest level of safety to responders who might encounter a suspected ebola patient. The NFPA has also been involved in this activity with the IAB and the CDC as there is NFPA 1999, Standard on Protective Clothing for Emergency Medical Operations as well as NFPA 1581, Standard on Fire Department Infection Control Program which both are relevant to this subject. NFPA 1999 can be viewed online for free at this here and NFPA 1581 can also be viewed for free at this here. Too often, discussion of these important Initiatives, including #15, elicits blank stares among firefighters. We need to improve both awareness and understanding of each initiative. Why is this important to home fire sprinkler advocacy? If we let another 10 years go by with only some firefighters learning about all of these Initiatives, especially #15, we risk losing firefighter lives in structures that could have been sprinklered. Read the rest of this important post, written by sprinkler advocate Tom Lia, by visiting NFPA's Fire Sprinkler Initiative blog. At its October 2014 meeting, the NFPA Standards Council voted to approve the development of a new committee and new document on Hybrid (Water and Inert Gas) Fire Extinguishing Systems. The Council directed that a call for members interested in serving on the proposed new Technical Committee be published. NFPA staff will return to the Council with a proposed startup roster and a proposed committee scope. Note: You will be asked to sign-in or create a free online account with NFPA before using this system. To maintain consensus, all Technical Committees must have a balance of interest categories. For definitions of the interest categories, see Guidelines to Classifications of Committee Members. 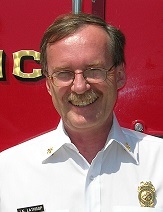 NFPA's Ken Willette invites your participation in the development of NFPA's standard on fire hoses. A researcher at Worcester Polytechnic Institute is working on a project to make fire hoses more fire-resistant. The project, managed by Kathy Notarianni, an associate professor in the Fire Protection Engineering Department at WPI, follows a fire in Boston's Back Bay neighbrhood last March in which two firefighters died after their attack fire hose burned. All research on this topic is being forwarded to the NFPA Technical Committee on Fire Hose, which develops NFPA 1961, Standard on Fire Hose, which will consider any proposed revisions to the document. Ken Willette, manager of NFPA's public fire protection division, says there are two ways people can be part of the discussion on attack fire hoses. First, anyone can submit "public input" (proposed revisions) on NFPA 1961. Second, the Committee on Fire Hose is seeking members from the following interest classifications: Installer/Maintainer, Applied Research/Testing Laboratory, Insurance, Consumer, Enforcer, Labor, Special Expert, and User. Please consider sumitting an application to join this committee and lend your expertise to this important issue. This is a short video produced by Brian Dykens for a documentary project at UNC. It is about a friend and fellow firefighter, Mike Ward, and his battle back from bladder cancer. The Hidden Risk from Brian Alan on Vimeo. On December 4, 1980, a fire occurred on the third floor of the conference facility at the Stouffer's Inn of Westchester, which was located in Harrison, New York. Of approximately 95 occupants who were attending meetings in several conference rooms, 26 persons lost their lives and 24 were injured. The fire did not involve guest rooms facilities of the hotel complex. The fire originated in an exit access corridor outside the meeting rooms in the three-story, fire resistive, nonsprinklered building that was classified as a place of assembly. In the early stages of the fire, meeting-room occupants were faced with rapidly deteriorating, untenable conditions that impeded their escape to safety. This fire emphasizes the importance of maintaining the integrity of exit access areas and the extreme hazard to life safety when fire originates in such areas. the lack of a fixed fire protection system to detect and extinguish the fire in itsincipient stage. For the full report download the NFPA Fire Journal article. new projects/documents on hybrid, gas, and fire water droplet systems; fire-based community healthcare provider (FBCHP) program. consideration of a request from the Committee to enter new document, NFPA 1986, Standard on Respiratory Protection Equipment for Technical and Tactical Operations, into revision cycle. Read the Council's preliminary minutes for the results of items addressed at its meeting. Anyone may submit a comment on this proposed TIA by the January 16, 2015 closing date. Along with your comment, please identify the number of the TIA and forward to the Secretary, Standards Council by the closing date. On December 1, 1977, a fire which occurred on the sixth floor of a luxury hotel in Bermuda killed three people. The fire burned the entire length of an undivided corridor which measured almost 500 feet in length. At the time of the fire, the hotel was undergoing renovations so therefore there were no occupants in a large section of the sixth floor. The renovations resulted in an excessive combustible load in the corridor area. The cause of the fire is still under investigation and the origin was in the sixth floor corridor. The hotel was a "T" shaped building and contained six guest floors. The building construction was of metal frame with spray -on fireproofing on column and main beams. Interior construction was of gypsum board on metal studs. Fire protection equipment in the hotel included hose reels located throughout the corridors along with stand pipes for fire department use. A heat detection system was provided with detectors located in such areas as closets, storage areas, and other hazardous locations. Manual pull stations were located throughout the building and activation of any of the heat detectors or the manual pull stations would result in a pyre signal alarm at the telephone operator station and in engineering. At the time of the hotel fire, there were civil disturbances in Bermuda that resulted in simultaneous fires. This meant that fewer fire fighters were available to fight the hotel fire than would normally have been the case. The hotels own private fire brigade, however, assisted the public brigade in containing the fire and preventing further loss of life. This fire demonstrates the need to be aware of fire hazards created during renovation of buildings; especially when they are to be occupied during the renovation. It also demonstrates that even under prolonged and heavier fire loading than anticipated, the existing standards for corridor wall construction proved most satisfactory.